Could You Quit Using Money Forever? I don’t think I could do it. In fact, I don’t think I *WANT* to do it! Haha… but, I think it’s one of the most interesting things in the world someone can do, and I find it all kinds of fascinating. 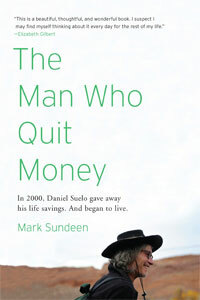 In 2000, Daniel Suelo left his life savings – all thirty dollars of it – in a phone booth… [and] has learned to live, sanely and happily, without earning, receiving, or spending a single cent. Suelo doesn’t pay taxes, or accept food stamps or welfare. He lives in caves in the Utah canyonlands, forages wild foods and gourmet discards. He no longer even carries an I.D. Yet he manages to amply fulfill not only the basic human needs-for shelter, food, and warmth-but, to an enviable degree, the universal desires for companionship, purpose, and spiritual engagement. Either way, I think the CHALLENGE itself is great. And even more so, the potential we all have inside us to actually PULL THIS STUFF OFF when we commit to it 100% like that. Think of all the awesome stuff YOU could accomplish if you pour your hearts into a project and get super creative with it all! That’s how dreams and goals are met, right? Setting your mind to something and pushing the limits over and over again until you reach it? Maybe y’all are already doing that and reaping the rewards? I also thought about my reasons why I couldn’t pull something like this off, other than my wife divorcing me and not being able to blog anymore for a living (it costs money to keep this stuff up!). How about you? Think you could ever pull off a lifestyle like this? What reasons would be on YOUR list if you were to write a few of ’em out? If you’ve already read the book, do tell us what you thought! Stuff like this always stops me in my tracks and gets me to reflect a little more in life, and I very much enjoy the mental break. It would be interesting to know if he has a family. Or maybe they live out there with him. I haven’t read the book, but my feeling is that it may talk about how many things in life we could probably live without and still be happy. I wish I could, but I’ve never been camping and I’m horrible when it comes to germs since I’m a huge germaphobic. I would also be extremely paranoid that I’m eating something bad such as in Into The Wild. I also went to school for way too long, so I would feel like I’m throwing it all away. Sounds like he’s living the dream! So let me see, he doesn’t use roads that others pay for, he will not use medical care and he doesn’t benefit from the military or fire departments. Sounds like I’m still paying for him. Not to be a complete skeptic, but he still has clothes and forages the “gourmet” food of others. This means not that he quit money, just transferred his source – ie, other people’s money buy him what he needs (whether they throw out whatever it is that he needs, somebody bought that). Noway. I want my son to have an education and it’s almost impossible to do that with no money at all. Sure he can get a scholarship, but I’d need some kind of back up. He’s dooming his descendant to a life of poverty if he ever have one. I think this is sort of cool, as long as the guy’s not taking advantage of others by letting them spend money on him. I’m a loner, but not a lifestyle I’d want to adopt. Living in caves? Wonder what he does when he needs medical attention. Taxpayers pick up his tab? This would be extremely difficult to pull off, but when it comes to survival I think a lot of would be surprised at the things we could do. I also wonder how truly happy this guys is, but I guess he has done it for quite sometime. Like Daisy said it sounds like he just transferred his source of money. It is like the book “Into The Wild” by John Krakauer. This individual gave up everything to live a life in the wild, but he also used others to survive. This book definitely has me intrigued. I will have to pick it up. Thanks! I saw something like that on PBS and thought Fing insane, no. Fing way! People think I am crazy because I don’t pay for TV, have a small house, no debt and don’t have a data plan for my cell phone, but I think that guy is insane! I like eating good-for-me food, getting health care and living near civilization. No thank you, I don’t even enjoy camping any more nor will I even sleep in a different part of my house. HA! Besides I love money, collect money and finally decided on a degree that has eveerything to do with money, so no way I would give it up. How did he write a book without money? Did someone give him a laptop or did he scrawl it out on the cave walls? It’s totally not realistic but I’ve sort of always wanted to do this, especially reading “My Side of the Mountain” as a kid. Ever since that book, I’ve always had a hidden desire to hollow out my own tree to live in…hahaha. I love money! 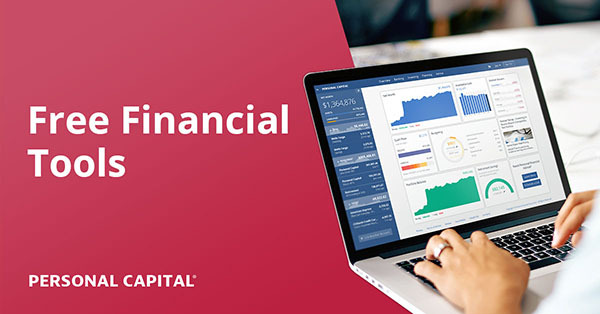 Heck I work in retail banking, but it’s coming to the time where physical cash is just paperwork. I have dreams of living off the grid in some small cohousing area. I must get this book though! I couldn’t do it! I am not a very happy camper and I have horrible allergies! You will LOVE this book. It answers not only all of your logistical questions, but the philosophical ones too. And, like you, it inspired me to stay committed to my own principles. @Daisy – For sure – he still eats and gets clothes etc that other people pay for, but he somehow barters for it and/or gets them for free… probably have to read the book for more details I suppose. @Kurt @ Money Counselor – I know, I wonder the same! @Matthew Doyle – I do agree with that – we are certainily more capable of stuff if we really try hard enough and/or are forced to survive ;) If you end up reading it, let me know what you think. I just went and bought it. @The Happy Homeowner – Oooh living in a tree sounds cool!! Haven’t heard of that one yet. @Stephanie – Do it and tell me what you think! I definitely could never do it. As sure as I am that this person has reached a level of contentment and peace in life by not relying on money, I’m too practical to ever take that kind of risk. I had the same initial question you mentioned. What if I get sick? No money equals no medicine or hospital care if it’s needed and, even though I’ve always been very healthy (luckily), that’s just not a risk I’d be willing to take. From Wikipedia: “Suelo states he is not accepting proceeds from the book.” Wonder if the writer did? Sounds noble, but with a family to support its not even a remote possibility. I wish money wasn’t the driving force behind living in the US, though, it would be nice to be more self sufficient and less reliant on the government, taxes, insurance, and all that crap that we have to deal with. I have to read that. What does he eat? I’m thinking crazy Survivorman stuff. Ewwwwww. @Kris – I think it’s a lot easier to do than we think for sure (ie. move somewhere super remote and start learning skills, etc…) but there’s no ounce of me that wants to deal w/ those kinds of tradeoffs at all ;) Just gotta find more of that middle ground if something becomes a priority to you. @Dannielle @ Odd Cents – Haha… I don’t know, but I’m guessing I wouldn’t be liking it either ;) Time to read the book! This would be impossible (or near-impossible) for me. Medicine keeps me alive, so contemplating this lifestyle is pretty implausible. What if I couldn’t work in exchange for my meds? Add in our growing family and the desire to retire, and it’s just not for me. But more power to him! Anyone who lives experimentally like this gives value to society by showing us alternatives to our dominant paradigm of consumption and perpetual economic growth. This man gives more than enough to justify ‘using our roads’ and receiving medical care when necessary. I would like to see more of this sort of demonstrative living because our earth really does need new options. @sr – An excellent take away for sure, I can get down with that :) Any extreme lifestyle is pretty fascinating stuff in this world. It doesn’t say if he lives alone or not, but for me, I need companionship. Whether if it’s in a friend or significant other, I need to be around people to communicate and connect in order to stay sane. hmmm…let me think…..nope couldn’t do it!!!! Well not that way exactly, but i’m all for spending as little as possible. Just as you mentioned “paying taxes is important for the general good” I would rather go “off the grid” in a way that could still be civilized community and camaraderie. We’re all in this together right?. Solar power, water repurposing, growing your own (hey now), and trading goods or services cuts down on a lot of the silly monthly money changing hands that makes most people fed up and want to hole up in a canyon somewhere haha. For instance, a family member mentioned that they needed to reshingle their roof and I recommended photovoltaic shingles which don’t require the home wiring/extra bracing that panels do, in their sunny location they could do away with their energy bill entirely, the shingles would pay for themselves long before they needed any maintenance AND the excess power feeds back into your neighborhood grid thus saving natural resources… they passed on it cuz 1) they weren’t compensated for the extra power by the energy company and 2) they would be selling down the line so why pay now for the future homeowner’s electric bill… *sigh* I know it’s family, but they make my heart sad sometimes. Next post: Do YOU Have to Pay Quarterly Taxes?